Be honest. How do you treat your jewelry when you travel? Plastic bags? Stuffed into a shoe? Jewelry has feelings too, you know! It doesn’t like to be disrespected! 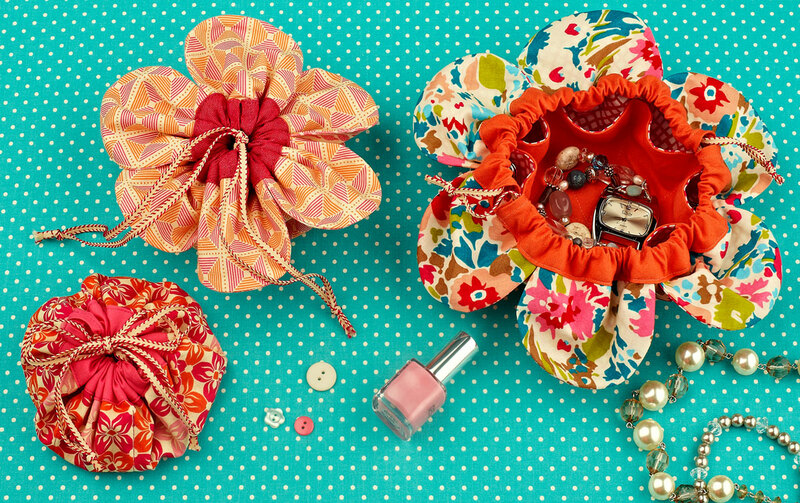 This little pattern is designed to help your jewelry travel in style, without taking up a lot of space in your suitcase. When you open up this cute little pouch, a row of pockets around the inside edge will hold all your smaller valuables: earrings, rings, and delicate chains that need to be kept apart from other pieces so they don’t tangle. 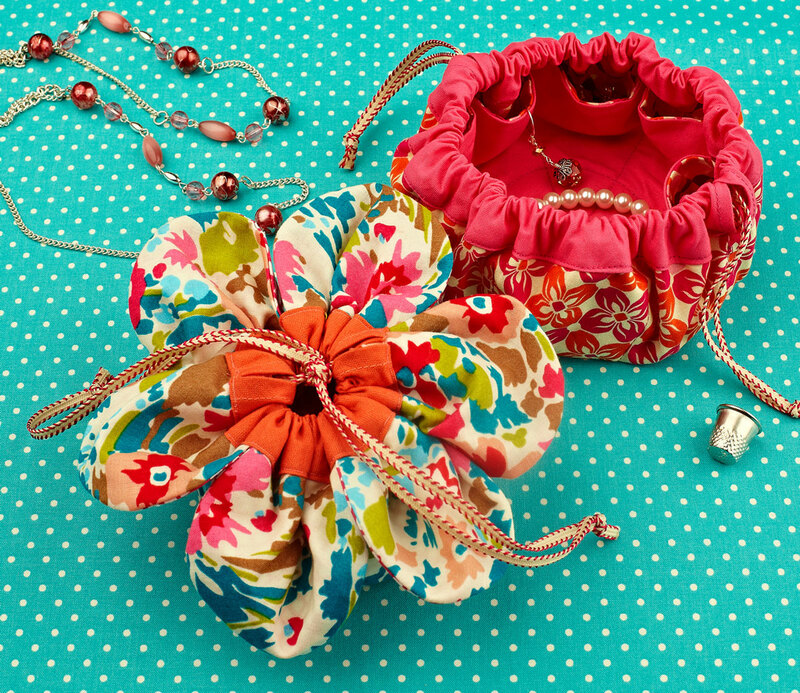 The center of the pouch holds your lager items like cuff or bangle bracelets as well as that statement necklace that simply demanded to come along on the trip. These little pouches are quick to sew, make good use of fat quarters, and make great gifts! And your own jewelry deserves a gift too, you know. Necklaces that are sulking after being stuffed into a corner of a suitcase all by themselves just aren’t as sparkly and fun as the necklaces that traveled in a luxury jewelry party pouch. This pattern is available now in both paper and digital format in the shop. It is just the thing that I need now. I buy the pattern yesterday and one hour later I have a perfect jewelry pouch for the first journey of my little girl (10 years old). It is a perfect pattern, sweet, quick and functional !
! i live in benin where there are lots of crazy print fabrics, but am leaving soon and need to think of presents for people back home – this is perfect for all my girl friends AND can use up the stash i’ve accumulated here! thank you so much! Just bought it! 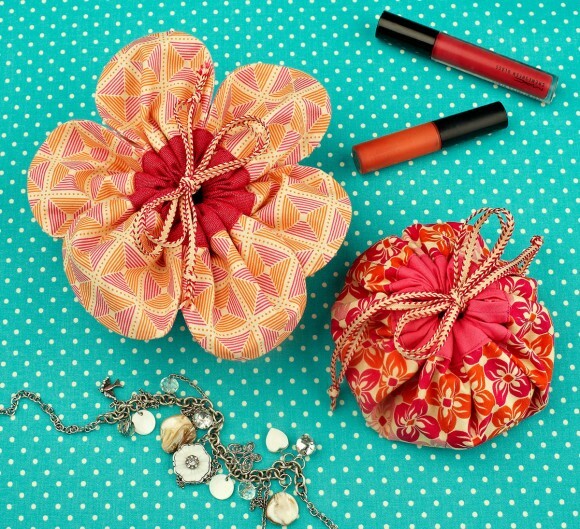 I think this cute pouch would make adorable christmas gifts for girl friends. If I get a headstart, I am sure to be ready when it’s gift time! How do I get the forget me knot jewelry pouch pattern?